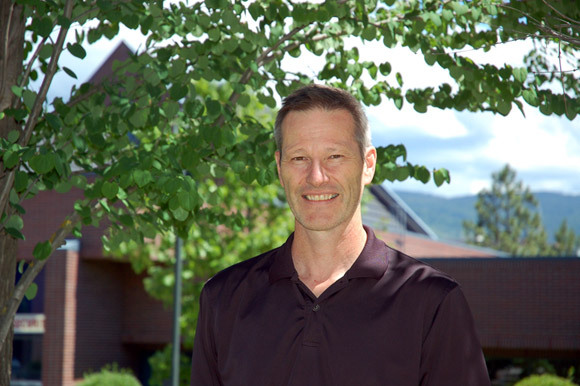 Concussion researcher Paul van Donkelaar is the director of UBC’s School of Health and Exercise Sciences. Paul van Donkelaar’s research into the effect concussions have on young athlete brains received a financial boost from the federal government this week. Federal Health Minister Rona Ambrose has announced Canadian Institutes of Health Research (CIHR) funding for 19 concussion research projects, providing more than $4.3 million to scientists across Canada. Van Donkelaar, director of UBC’s School of Health and Exercise Sciences, will receive $100,000 for his continuing investigation into concussions in young athletes. While plenty of concussion research has been conducted on adults, van Donkelaar says there needs to be a better understanding on how a mild traumatic head injury can affect brain function in children and youth, especially young athletes who might suffer repeated trauma from playing a contact sport. Because young brains -- particularly children under 15 years of age -- are still developing, van Donkelaar says it’s important that scientists determine the damage done to athletes after a concussion. And what happens after more than one head injury? Van Donkelaar’s research, titled Brain Blood Flow Biomarkers in Concussion, involves collaboration with UBC Prof. Phil Ainslie, Canada Research Chair in Cerebrovascular Physiology. Their first goal is to determine how a concussion affects blood flow to the brain and how this impacts a young athlete’s neurocognitive function. The second goal is to determine the impact of physical exercise on cerebrovascular function in young athletes who have recovered from a concussion and, on the surface, seem perfectly healthy. The UBC researchers are the first to examine whether cerebrovascular function can serve as an objective and measurable characteristic of concussion recovery in young athletes, and what impact this has on neurocognitive function. Results from this study should help health-care providers get a better understanding of the physiological effects of concussion, and lead to improvements in the treatment of an injured brain. “A greater understanding of these issues can lead to better initial diagnosis, management, and return-to-activity decisions when a concussion occurs,” van Donkelaar says. Earlier this year, van Donkelaar’s research team was awarded more than $287,000 through the Canada Foundation for Innovation to fund new equipment being used in his research.